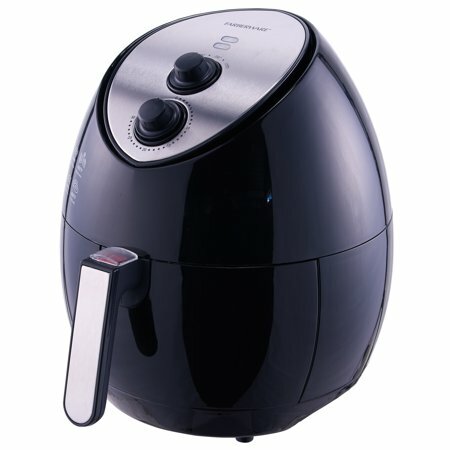 You can now cook faster, healthier meals thanks to the Farberware 3.2 Quart Oil-Less Multi-Functional Fryer. This advanced fryer is the perfect appliance to grill, bake, roast or fry family favorites like chicken, french fries, onion rings and even desserts. 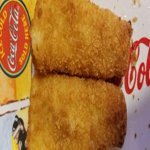 Using Rapid Hot Air Technology, it cooks foods to a golden and crispy finish using little to no oil, reducing fat and calories compared to traditional frying. This oil-less fryer features easy-to-use controls to set cooking time up to 30 minutes and temperature up to 400F. The 3.2-quart food basket fits up to 2 pounds of food and, thanks to the non-stick and dishwasher-safe food basket, you’ll spend less time cleaning and more time enjoying delicious meals. As an added bonus, you’ll receive a recipe book with 25 recipes. Your new favorite kitchen appliance is going to be the Farberware 3.2 Quart Oil-Less Multi-Functional Fryer. Farberware 3.2-Quart Oil-Less Multi-Functional Fryer, Black:Cook faster, healthier mealsUses rapid hot air technology to cook food using little to no oilEasy to use controls3.2 quart basket fits up to 2 lbs of foodFood basket is non-stick and dishwasher-safeBonus recipe book with 25 recipesLow odor, no mess You can now cook faster, healthier meals thanks to the Farberware 3.2 Quart Oil-Less Multi-Functional Fryer. This advanced fryer is the perfect appliance to grill, bake, roast or fry family favorites like chicken, french fries, onion rings and even desserts. Using Rapid Hot Air Technology, it cooks foods to a golden and crispy finish using little to no oil, reducing fat and calories compared to traditional frying. This oil-less fryer features easy-to-use controls to set cooking time up to 30 minutes and temperature up to 400F. The 3.2-quart food basket fits up to 2 pounds of food and, thanks to the non-stick and dishwasher-safe food basket, you’ll spend less time cleaning and more time enjoying delicious meals. As an added bonus, you’ll receive a recipe book with 25 recipes. Your new favorite kitchen appliance is going to be the Farberware 3.2 Quart Oil-Less Multi-Functional Fryer. DO IT!!!! I love this thing! I have precious little counter space in my little kitchen, but this has a permanent home! I absolutely adore this thing. Best thing I've gotten since I got the Ninja 3 in 1 cooker. Those are the two appliances that have a home on my counter. Chicken wings in the fryer are awesome. You can also make some awesome brats or dogs in it and get a nice crispy crunch to the skins. I've done a few roasted veggies that are awesome. The quiche I made got a little over done but was terrific. I had bought the NuWave from QVC and absolutely hated that thing. I sold it before my convenient 5 pay option was over. It was so cumbersome and awkward to use in my small kitchen. The clean up on this one is so easy. you basically just rinse it out and dry it off. 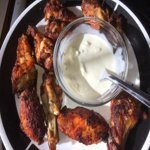 Attaching a picture of some wings I did today with some homemade blue cheese. Part of our everyday cooking! 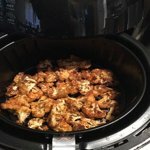 LOVE this air fryer and what a great value! Crisps food much quicker than an oven can, with little to no oil! Much healthier eating... Cook meat, veggies... Even desserts! Perfect! Such a steal deal. I saw a commerical about an air fryer. I wanted to buy it so bad but it was over $150. Im in my early 20s and thats not my budget. I checked reviews on WalMart and seen this fryer. The reviews are true!! And the price is a steal. 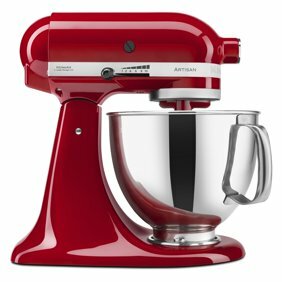 The appliance itself is beautiful. Fits perfectly on your counter top and matches any kitchen scheme. Its self explantory and easy to use! I tested almost everything within moments I got it. Fries, nuggets & raw seasoned chicken! 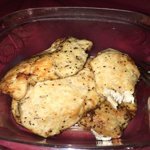 My famous broiled chicken no longer needs to go in the oven! This quart fit all 5 pieces of chicken breast in there!! I flipped a few times for even cooking but its like a mini oven. Eating healthy is hard and this makes me so happy. I dont have to sacrifice my fav foods. A lot of chicken! Seasoned w/ pepper & cajun. No oil added or anything special. This is so handy! Easy way to eat healthy without heating up a giant oven. I cut up a head of cauliflower and used a T of butter/or margarine with garlic powder/ onion powder and smoked paprika stir caul around in that, then sprinkle with italian bread crumbs and air fry. Put it in the preheated air fryer for 10-12 minutes, at 350, it was excellent. I cooked some saucy things in there, and the sauce drips to the bottom, but does not smoke and burn. VERY easy clean up. Made some homemade bean burgers, came out great in there. Also done a tone of fries, they come out great and I piled it full. Not heating up the whole oven for these items will be great in the summer when the air conditioning is on. Okay, I need to do a product enforcement. My husband & I love fried foods but sadly our arteries don't lol. I have been researching online for a week Hot Air Cookers & today i brought this one at Walmart for $79.00. I have to say i love this as much as my Crockpot. 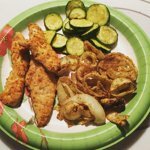 I made Chicken bites, Fries & omg Onion Rings. Everything came out so Crispy and tasted delicious. You have to play with the time & make sure you shake the basket half way through. I cannot wait to try making other things in here. An appliance I wish I had bought a long time ago! Discovered even one tablespoon of oil was too much to make really crispy french fries. Appreciate not having to deal with a pot of frying oil, as well as the calories I didn't take in because mine were air fried. Only thing I would hope for is an accessory second shelf such as the one Philip's makes for their model. The photo I've uploaded is the remainder of fries after my husband and I had our generous portions. 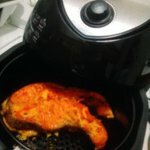 I have read so many reviews on the air fryer and thought I would give it a try. 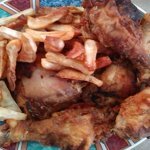 Since bringing it home, I have made fries (awesome turnout) and chicken (jerk...see pic). I also tried chicken with just seasoning (no breading) and they came out perfect. But I have one con to this contraption.....its too small. 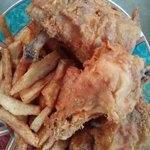 In order to make a meal for my family, I had to first cook the chicken, THEN cook the fries. I wish it had the divider like the Power Air Fryer XL. I love this thing and it's so easy for my kids. They can just throw in the food, set it and forget it. 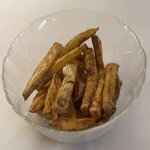 This is not great if trying to cook more than one food item, but its great for a single person or if making a quick batch of fries. I gave it 4 stars for the size, but everything else is great. I use it every day. It was a great purchase. The first picture is the air fried chicken the second picture is my home cooked chicken from a frying pan. 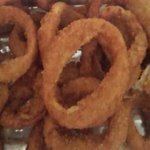 I patiently waited on my husband to buy me air fryer for Christmas as seen on TV is supposed to bake fry and make all your food look crispy and delicious without using any or using very little Grease or oil. However my food is now dried out and doesn't look desirable to eat... after tasting the food it had been dried out. 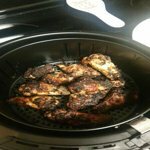 it reminded me of baked chicken the batter wasn't even crispy and it took forever for the food to even cook normally it takes 20 minutes for my chicken to cook it took 45 in this cooker.I will be taking this product back to Walmart.